Jay Bavisi is the Co- Founder and President of EC-Council, a global leader in information security education, training, and certification. Formed following the 9/11 incident, EC-Council addresses issues of cyber terrorism raised at the forefront of security of nations at large. It is the owner and developer of the world famous Certified Ethical Hacker (CEH), Computer Hacking Forensic Investigator (CHFI), Secure Analyst (ECSA), and Licensed Penetration Tester (LPT) programs. Jay led the efforts in establishing the partnership with the International Telecommunications Union (ITU), an arm of the United Nations, via the International Multilateral Partnership Against Cyber Threats (IMPACT) to develop sustainable knowledge and capabilities in information security awareness amongst government agencies in 194 member countries. Jay is a Board member of the Department of Homeland Security/National Security Agency’s Colloquium for Information Systems Security Education (CISSE), reputed as one of the largest information security gathering of academics, government, and industry professionals in the United States. Jay is a highly sought after speaker that shares his thoughts globally. Jay was named as the Keynote Speaker for the National Initiative for Cyber Security Education (NICE) Conference in Columbia, Maryland. NICE is a White House initiative under president Obama to enhance the recruitment, training, and retention of cyber security professionals, to raise public awareness, and to enhance cyber security education in US schools, building on and going beyond the CNCI initiative to expand cyber education nationally in the US. An information security evangelist and architect, he regularly shares his insights with law & policy makers at various international conferences and seminars globally. He was the Chairman of the Hackers Panel at Infosecurity Europe, the Closing Keynote Speaker for ITWeb Security Summit in South Africa, the combined Keynote Speaker for Techno Security/ Hacker Halted USA and Keynote for IDC Security in Finland. He was also invited to speak at the US Department of Homeland Security Software Assurance Forum, Department of Defense Cyber Security Conference, Interop Las Vegas, Interop Mumbai, Hacker Halted Dubai, Hacker Halted Mexico, World Information Security Conference in Nigeria, CSI New York, Techno Security, and Techno Forensics. Jay was also invited to speak at the head panel discussion on information security at the World Summit of Information Society that was chaired and hosted by His Excellency, Dr. Hamadoun Toure, Secretary General of the International Telecommunication Union, a United Nations agency in Geneva recently. 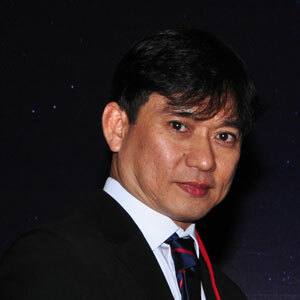 His key expertise is in the area of Ethical Hacking, Information Assurance and Computer Forensics with a special focus in the government mitigation. His audiences include executives and leaders of global institutions like International Telecommunications Union, United Nations, Department of Defense, Department of Homeland Security, National Security Agency, Dow Jones, Lloyd’s, Merrill Lynch, Microsoft, Shell, HSBC, Hewlett Packard, IBM, Standard Chartered, American Express, MCIS – Zurich, Schiphol Airport Authority, KPMG, Deloitte Consulting, Trend Micro, IDC, S.E.A. Insurance, Sara Lee Philippines, American Express Bank Philippines, Makati City Hall, Philippine Airlines, Royal Australian Air Force, Government of Zhuhai, China Mobile and A&T, among others. Jay has appeared regularly on major international television shows and print medias, including CNN, CNBC and Fox News. World-class reporters like Wolf Blitzer of CNN sought Jay’s views in The Situation Room when a global hack was uncovered. His views have also been sought by internationally acclaimed publications like Time, Washington Post, The Herald Tribune, The Wall Street Journal, The Gazette and The Economic Times. His views were also featured by ABC News, USA Today, The Christian Science Monitor, Boston and Gulf News. Having always championed Ethical Hacking and Countermeasures, Jay is a prolific writer. He was a contributing author to the Computer and Information Security Handbook published by Elsevier. Jay serves as an advisory board member of the Global Institute of Information Security Research, a not for profit collaborative initiative between National Institute of Standards and Technology, Department of Homeland Security, National Security Agency, private industry, academia. Jay is also appointed as an Advisory Board of CompTIA, a non-profit trade association advancing the global interests of IT professionals and companies globally. Jay is the Chairman of the ECCouncil Foundation, a not for profit charity dedicated to raise awareness of information security, build capacity and promote world peace. He has contributed in projects to help the unfortunate gain technical knowledge, help wounded warriors become cyber experts and help kids become aware of cyber risks. Jay Bavisi is a law graduate from the University of Wales, College of Cardiff, with an LLB (Hons), Barrister – at – Law from Middle Temple, London. Sean Lim is responsible for the deployment of EC-Council’s highly sensitive information security curricula and action plans to its training partners across 60 countries globally. He leads a team responsible in ensuring that all EC-Council technical trainers achieve the highest standard of training delivery and that all participants of EC-Council’s training programs benefit immensely from the training. Sean also leads the development of EC-Council University’s presence into Asia. This role is taking him across Asia and this is where he sees tremendous opportunities for EC-Council University’s growth. 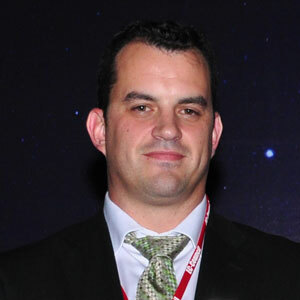 With over 18 years of experience in the training and education industry, Sean was instrumental in introducing and developing quality international IT training and education businesses to countries across the Asia Pacific region including the Middle East and Africa regions. He has worked with university partners from the USA, UK and Australia, bringing their education solutions to these markets. He has vast experience in developing franchising and licensing solutions for the training and education market including online learning solutions, which saw him establishing over a few hundred learning centers in across more than 30 countries globally. In the online education space, Sean contributed to the conceptualization, development, and marketing of an online learning environment which saw the introduction of the Asia’s first fully online Bachelor of IT which was hugely successful. Sean travels widely and speaks at various information security events, education and technology conferences regionally touching on the latest trends and developments in these areas. He has been invited to speak at regional franchising and licensing platforms where he shares with business leaders and entrepreneurs on how quality education on any mode can be franchised and licensed as an effective learning and business model. Steven Graham is responsible for deploying Global technology solutions across EC-Council Customers and Partners. He leads multiple teams responsible for EC-Council’s Global eLearning initiatives as well as backend delivery technologies. Steve has been entrusted with all North American business as well as global technologies. In 2008, he introduced the most comprehensive set of information security books to the U.S. market in partnership with Cengage Learning comprised of 28 individual titles offering a revolutionary method for keeping content up to date and optionally mapping for credit programs to industry certifications. The program has shown tremendous success with tens of thousands of students each year joining programs all over the United States. As a true “Tech Junkie” Steve has led global technology deployments and key partnerships resulting in the creation of iLabs, EC-Council’s Cyber Range Product. Continuous innovation has led to the opportunity to provide online, virtual labs to thousands of students and Information Security Professionals all over the world. iLabs is one of EC-Council’s fastest growing business units showing tremendous potential across multiple verticals including Finance, Healthcare, Cyber, and Education. iLabs has enhanced the quality of EC-Council Program delivery and extended lab capabilities far beyond the traditional classroom setting. Students of iLabs have an online, 24×7 access to complete Virtual lab environments loaded with victim machines, vulnerable websites and servers as well as Windows, Linux, and Unix attack platforms. Inline with North American Business responsibilities, Steve also led EC-Council’s Federal initiatives working with the United States Department of Defense on the acceptance and implementation of the Certified Ethical Hacker in DoD Directive 8570. Steve is a Board Member of the Cybersecurity Certification Collaborative (C3) and participates in multiple working groups in the Cybersecurity community. Eric Lopez graduated from New Mexico State University in 1992 with a degree in Journalism/Mass Communications with an emphasis in Advertising Design. Eric spent 1992 to 1996 working as a graphic artist at multiple offset printing companies as well as a freelance graphic artist for many commercial companies. In 1996 Eric became a trainer at New Horizons Computer Learning Center of Albuquerque, NM teaching graphic design software courses such as CorelDRAW!, Adobe Photoshop , Adobe Illustrator and Adobe In-Design. Eric also taught the Microsoft Office Suite through the advanced level. From 1996 to 2008 Eric worked at several New Horizons CLC franchises including those in Santa Cruz, CA, Tucson, AZ, El Paso, TX and finally back to Albuquerque, NM. During this tenure, Eric worked at a Trainer, Training Manager, Operations Manger, Sales, Manager, Senior Sales Manager, General Manager and finally co-owner at New Horizons CLC of El Paso and New Horizons CLC of New Mexico. In 2008 Eric took his vast training center experience to EC-Council North America where he developed and launched the iClass training division whose charter is to offer EC-Council certification courses in live, online, and streaming video online training formats to clients who don’t have access to an EC-Council Authorized Training center in their local area. EC-Council Authorized Training Centers also utilize the iClass platform to deliver online training to their students. Eric continues to run the iClass training division and has also become the Executive Director of the EC-Council Foundation, which delivers IT Security conferences all over the world. The EC-Council Foundation, under Eric’s leadership, also runs the Global Cyberlympics hacking competition with world finals held in locations around the world. Lastly, Eric is a member of the EC-Council Executive Management team and the EC-Council Product Council. Eric and his team are responsible for the Certified Chief Information Security Officer (CCISO) certification program including its training program, body of knowledge, and exam. 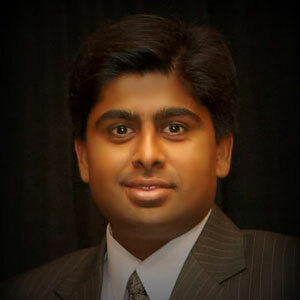 As the Director of technology, Raj is responsible for managing the overall security posture of the organization. 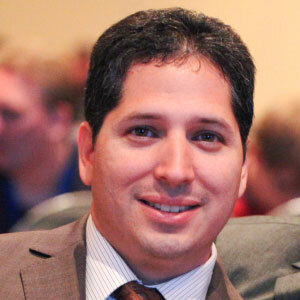 He plays an important role in managing all external and internal technology needs of the organization. 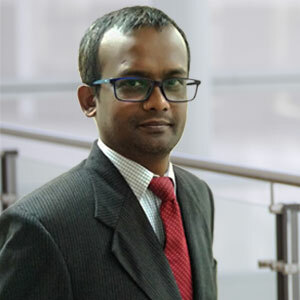 He also shares a role in designing, managing and allocating resources to various security programs within an organization’s security department; creating user awareness and security compliance education campaigns; interacting with non-management employees; and offering key assistance in the event of a security incident and subsequent investigation. As one of the founding members of the technology team, Raj also looks after all the security programs and certifications that EC-Council launches in the market. Raj frequently speaks at EC-Council seminars interacting with its partners and educating them about the products. As Senior Financial Analyst, Ali with a background leveraging MBA in Finance and significant hands-on experience and expertise in Finance is responsible to manage global finance operations, including controllership, financial planning, analysis, and reporting, investment, M&A, analysis and risk management. Ali is an integrated member of the global finance function and works closely together with the finance partners, the global experts and the global Finance Operations team and Alternate Business directors, participating in global/regional initiatives and incorporating our global goals into the local goals and objectives, where appropriate. He works with CEO, board of directors and all other ECC business leaders to articulate long-term financial goals and targets and prepare the annual plan, Long Range Plans, and regular re-estimates. 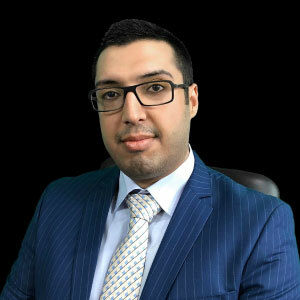 Ali also works closely with the CEO, COO, VPs and country managers to track and monitor capacity, clients, revenues, and costs, continuously identifying and implementing programs for managing capacity mix, pyramid, pricing and compensation and ‘other costs’ and profit improvement measures.